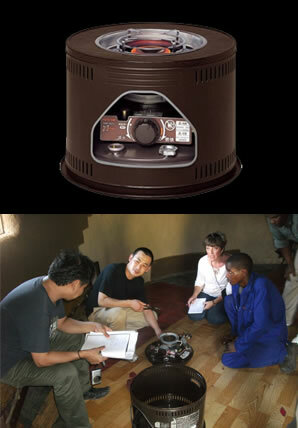 Within TOYOTOMI this idea was initiated after we visited South Africa in 2007, where millions of unreliable, obsolete, even dangerous kerosene (paraffin) cooking stoves, often locally made, or open fires such as using wood or cow dung are being used daily, in these emerging countries. These primary means of cooking and heating lead to burn injuries, the inhalation of toxic fumes, township fires, and high incidences among children of problems with ingestion and poisoning. 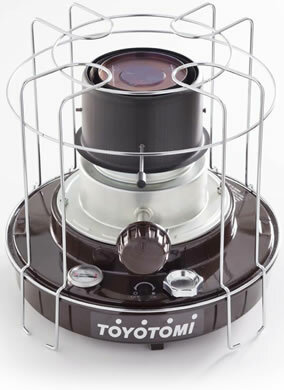 With our motto, “CONTRIBUTING TO SOCIETY THROUGH THE WARMTH OF TOYOTOMI”, TOYOTOMI aims to spread the high quality of our kerosene cooking stove enabling safe and long-term use for the BOP people and support the improvement of their lifestyle. ・There are approximately 4.5 billion people in the world’s total population of 7 billion people. 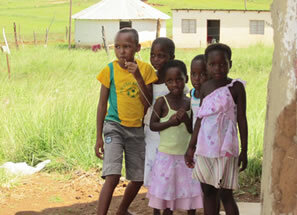 ・BOP people primarily live in emerging and developing countries and survive hand to mouth with 1 US$ per day. Reliance on biomass for cooking and heating increases pressure on local natural resources, forces people to spend many hours each week collecting wood during which women and children often also face severe personal security risk. Furthermore, this daily work affects children’s education. According to WHO, annually 4 million people lose their lives from respiratory disease worldwide. The main factor could be the cooking with biomass fuel and unreliable locally made or handmade kerosene cooking stoves. Those products release the smoke, soot, and exhaust gases that may have a negative impact on the human body during combustion. It is found that the women and young children are affected most by inhaling poisonous fumes, and a girl under 5 years old carried by her mother during cooking by open fires seems to have a six times higher risk of getting lung cancer. Once they become sick and the locally made kerosene cooking stoves are broken as they are lower product durability, it is hard for the BOP people who live with 1 US $ per day to make money. For these reasons, we decided to develop the kerosene cooking stove for the BOP people to contribute to their health and lifestyle. 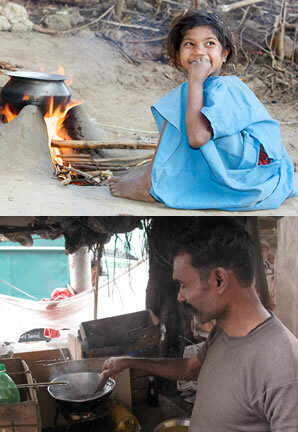 Our kerosene cooking stove is safe and considerate of the economics in those developing and emerging countries. Although our product is still not affordable compared with the locally made kerosene cooking stoves, we feel sure that with our cooking stove included in the BOP market, we can help alleviate the problems occurring with the locally-made stoves. Also, we keep doing research and development to meet the demand by bringing more affordable products. dangers arising from smoke and soot during combustion. ■There is no risk of respiratory disease, so the cost of hospital visit is not necessary by using our kerosene cooking stove. →The environment of accident prevention is still low in the emerging countries, so the safety improvement is key issue. ■The product durability is high and frequent repair or replacement is not required. In India, we are developing a new way of business by involving the domestic woman, especially housewives, to distribute our kerosene cooking stoves. 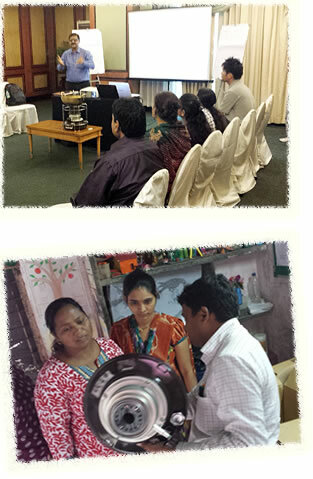 Having the cooperation of local NGOs and society organizations, we organized a group consisting of some housewives. We have started the small sales activity such as face to face selling in the specific area. Training some leaders in each group, the leaders hold the PR activity which promotes the advantage points to consumers when they purchase TOYOTOMI cooking stove. Through empowering low-income females, our business also creates income-gaining opportunities for local people and contributes to making their lives better. In Africa, there is a huge market for kerosene cooking stoves. Two million units in South Africa, and four million units in Nigeria are being sold. We sell our cooking stoves in Nigeria mainly. Making advertising pennant which shows the PR point of our cooking stove with local sales partner, we are advertising the products around the downtown in Nigeria. 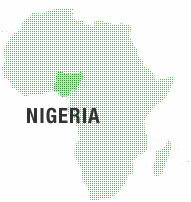 Not only in Nigeria but also in the other African countries, we are aiming to expand the sales area as there are many possibilities in those countries. 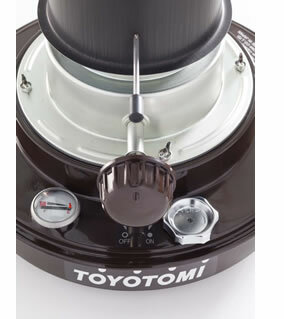 TOYOTOMI’s “BOP cooking stove contributes to the BOP people to improve their lifestyle and health condition. 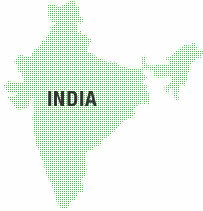 Currently, we have only distributed in some areas of the 2.7 billion of BOP population. There is a limit on developing the products by just one company, so we are looking for a business partner who will take on promoting and sales activity to bring valuable “BOP cooking stove” to the BOP people all over the world. Toward the achievement of “better life” all over the world, would you seek the global value creation with us?